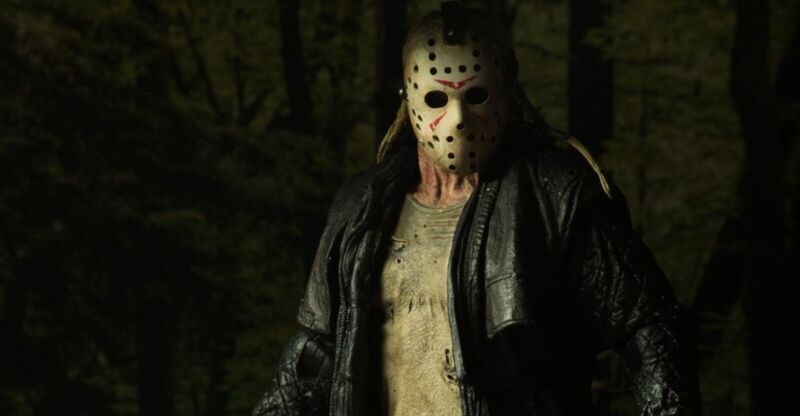 NECA has released a teaser photo for an updated version of their Friday The 13th 2009 – Jason Voorhees Figure. The figure, based on the 2009 remake of Friday the 13th, will get the Ultimate 7″ Scale Figure treatment. 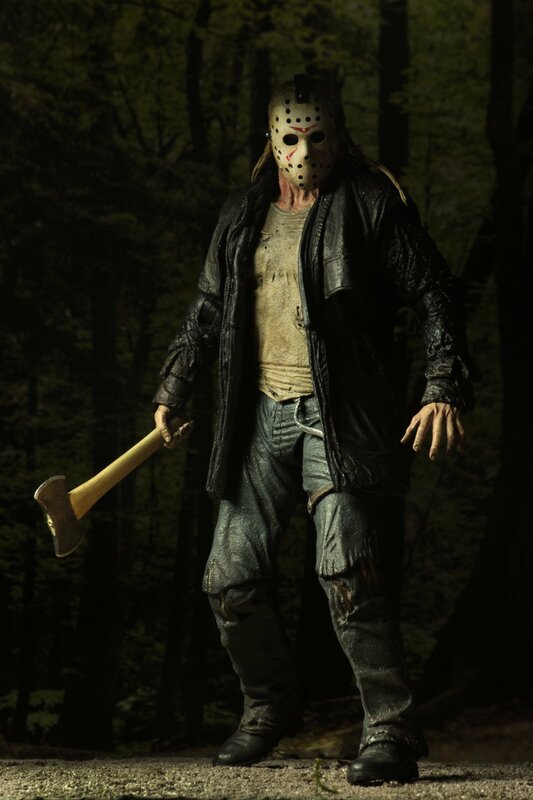 The originally released a figure of the remake Jason back when the film was released, in both 7″ scale and 1/4 scale formats. They announced that there will be a full reveal tomorrow for Halloween. Click the banner image for the full size photo. We’ll update with additional photos and details tomorrow. I�m glad this figure is getting updated. I used to own the original along with both versions of the remake Freddy, but sold them off due to their lack of articulation and to make room for newer better figures. Plus for years I always had a feeling they might go back redue this figure, so I don�t regret selling it off. While it wouldn�t surprise me in the slightest if NECA teased/ announced an updated Ultimate Freddy Vs Jason 2-pack around midnight tonight, I just don�t think that version of Jason will be the next one tackled. Nothing but the head and possibly the feet and hands could be reused. They would essentially have to resculpt an entirely new Jason to make it work for the modern era. A FvJ Freddy would be easy enough to make though since Freddy looks the same in all his movies minus his makeup, hands and shoes. FvJ got a lot of things right, IMO. The look of both was spot on. I loved the fact that they deliberately based Jason�s look on the Frankenstein monster, with the platform boots and jacket. My 18� NECA statue is still my pride and joy. I�m struggling to think of what extras an ultimate FvJ Jason would come with. A machete, a teddy bear, and a Freddy head and glove? Maybe a flame effect?